Play the classic game of Pick Up Sticks at work! You remember this nostalgic game you played as a kid; see how many times you can pick up a single stick from the pile without moving the other sticks. Challenge a co-worker to a game in the break room for some lighthearted stress relief. When you're not playing, store the sticks in the wooden storage box. 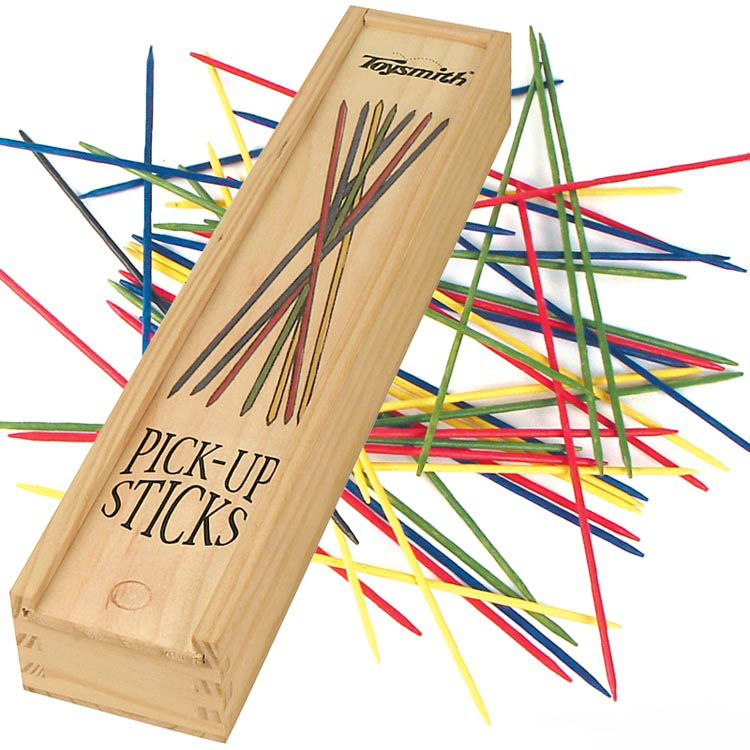 Pick Up Sticks is a fun game for everyone, especially kids at heart.